A Virtual Private Network (VPN) enables you, while off campus, to connect securely to campus resources that are not otherwise available through a web browser. Since the campus' network infrastructure is protected from internet viruses and worm attacks by a firewall, VPN solution is necessary to gain access to specific campus resources, such as network storage, while maintaining the security of the system for both users and the network. UW-Whitewater enables VPN access using the Cisco AnyConnect VPN Software. VPN securely encrypts data transmissions from your computer to the campus network. A valid campus net-id and password are required to gain access. Cisco AnyConnect is the VPN tool used by UW-Whitewater. Most university owned laptops should have AnyConnect pre-installed. 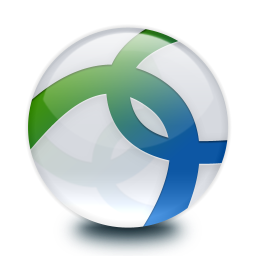 Look for the AnyConnect icon (below) in your system tray (PC) or top menu bar (Mac). If you do not see the icon, do a search for "AnyConnect" in your Start menu (PC) or look in your Applications folder on your hard drive (Mac). Select the 'AnyConnect' item from the menu on the left. Click the link to 'Start AnyConnect'. Connecting with your university owned computer is the most efficient way to access campus resources when off campus, but you can also connect to VPN with just an internet connection! Simply visit vpn.uww.edu and login with your UW-Whitewater credentials.